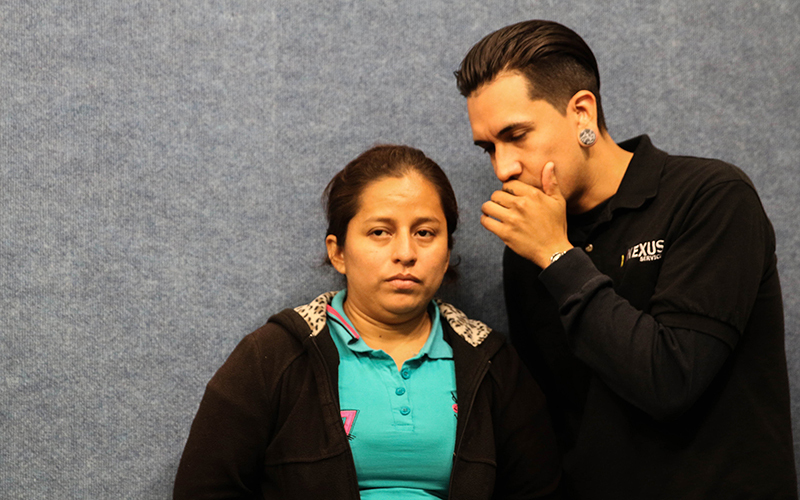 WASHINGTON – A Guatemalan woman who was separated from her daughter after they crossed the border near San Luis, Arizona, said Tuesday she is suing the federal government to get her child back. Perla Karlili Alemengor Miranda de Velasquez said she twice spoke briefly with her 12-year-old daughter by phone when she was in custody, but has not been able to contact the girl since being released on bail. Velasquez, backed by lawyers from Nexus Derechos Humanos, said the suit will name Attorney General Jeff Sessions among other members of the Trump administration. It comes less than a week after another Guatemalan woman was reunited with her son after filing a similar suit. Sessions in April said that under a new “zero tolerance” policy, border crossers would be referred for criminal prosecution. As part of that policy, children were taken from their parents, because the law only allows children to be held with their parents for 20 days. From May 5 to June 9 alone, according to numbers released last week by a Customs and Border Protection official, immigrants stopped at the Southwest border included 4,548 family members, 2,342 of whom were children taken from their parents. President Donald Trump last Wednesday issued an executive order to stop the separation of families in the face of harsh, bipartisan criticism of the policy. But not before Velasquez and her daughter showed up at the Arizona border around May 19 and presented themselves to Customs and Border Patrol agents as migrants seeking asylum. At the first center where she was held, Velasquez said she was given a foil blanket to sleep under and saw children as young as 3 years old tossed into pens by their hair. She said her daughter was taken from her around 3:30 a.m. on May 21. Requests for comment from Immigration and Customs Enforcement were not immediately returned Tuesday. Velasquez spoke with her daughter on the phone twice while they were both detained, but she said calls were less than a minute and that her daughter was being watched closely by federal employees during the calls. Since being released on bail, Velasquez said she has yet to hear from her daughter and is unsure of her whereabouts. Velasquez’s lawsuit follows another suit filed by Nexus Derechos Humanos for Beata Marian de Jesus Mejia-Mejia, who also crossed the border near San Luis. 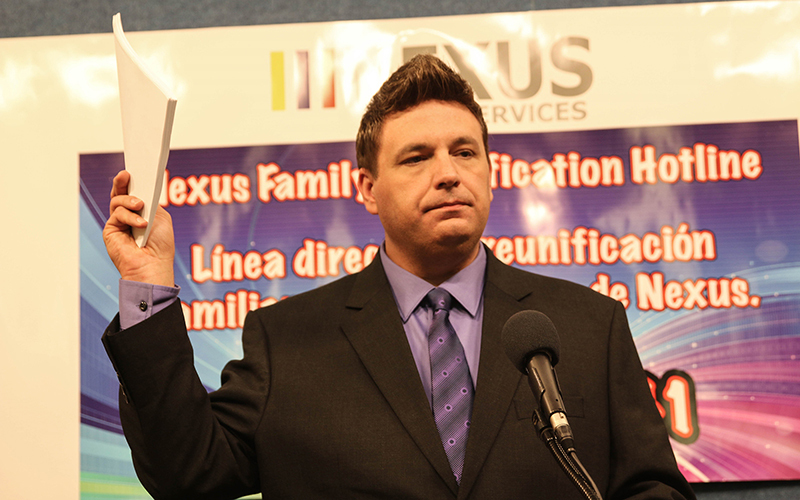 In Mejia-Mejia’s case, the government agreed in a court hearing to release her 7-year-old son, said Lillie W. Blanton, an associate at Nexus Derechos Humanos. Mejia-Mejia and her son were reunited Friday at Baltimore-Washington International Airport. “It seems like right now it’s the only way to get results immediately,” Blanton said of the legal action.